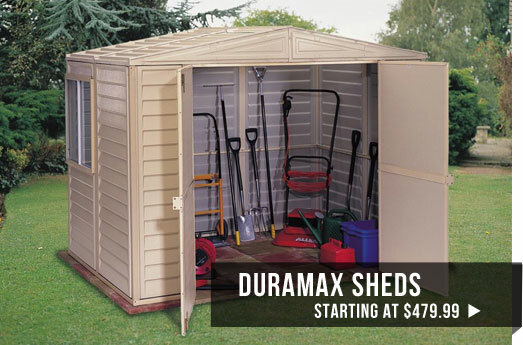 Need Help With Your Shed? 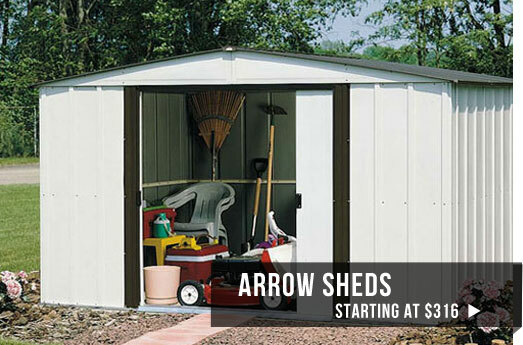 Start Here! 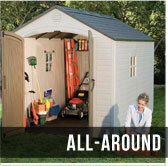 Our storage sheds come in easy to assemble kits and are a quick way to add capacity. 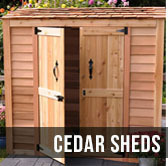 Garden sheds are a great fit if you've got a lot of backyard equipment. 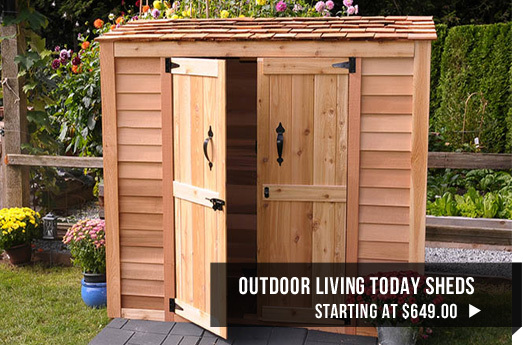 The side opening doors make it easy to access all your tools. 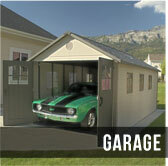 If you've got a lot you need to store, or something big like a car, storage buildings are the perfect solution. 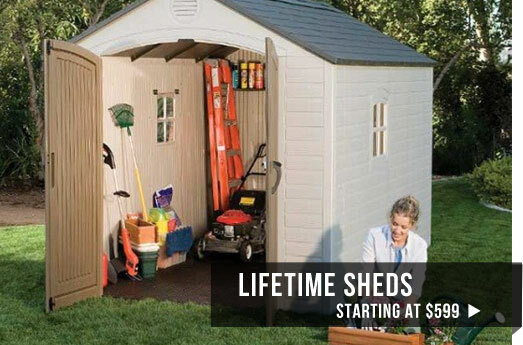 You'll find all the accessories you need for your new shed in our great selection; shelves, tools, extreme weather kits and more. 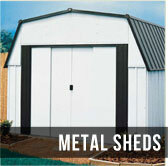 If you find that your needs have outgrown your shed, come checkout the great extensions we have for Lifetime sheds.